So writers write books about writing. And about writers. So Stephen King wrote Misery and The Shining and Bag of Bones. And On Writing. And so Hollywood makes movies about making Hollywood movies. And so we get Singing in the Rain and La La Land. Television dramas love writers. And so we have Richard Castle and Robin Masters (whom we never see) and Temperance Brennan, and, of course, John Watson. Along with all the frustrated writers who show up alive and dead on the the Law & Order franchise. These tropes hold in Japan too, though with a few necessary tweaks. Publishing contracts are so standardized that the job of the literary agent only exists in a very narrow niche. A writer deals with the publisher through an editor, so that is where the conflicts will arise. Such as the combative relationship between Shigure Sohma and his editor in Fruits Basket. And unlike the North American market, manga, anime, and (especially of late) light novels are far more dominant players in the popular culture. So we can expect that there will be manga about writing manga and anime about making anime. Along with light novels about writers writing light novels. incorporates elements from anime, manga, video games, fan art and fan fiction. It is character and dialogue-driven, replete with provocative illustrations and heavily reliant upon the viral energy of the Internet, where many of the stories get their start. In the writing-about-writing category, the light novel recently got a moment in the sun with Eromanga Sensei. It is not a serious series, sort of as if Fast Times at Ridgemont High had been written by nerdy writers about nerdy writers who write bestsellers in high school. High school student Masamune Izumi writes light novels of an—ahem—provocative nature. 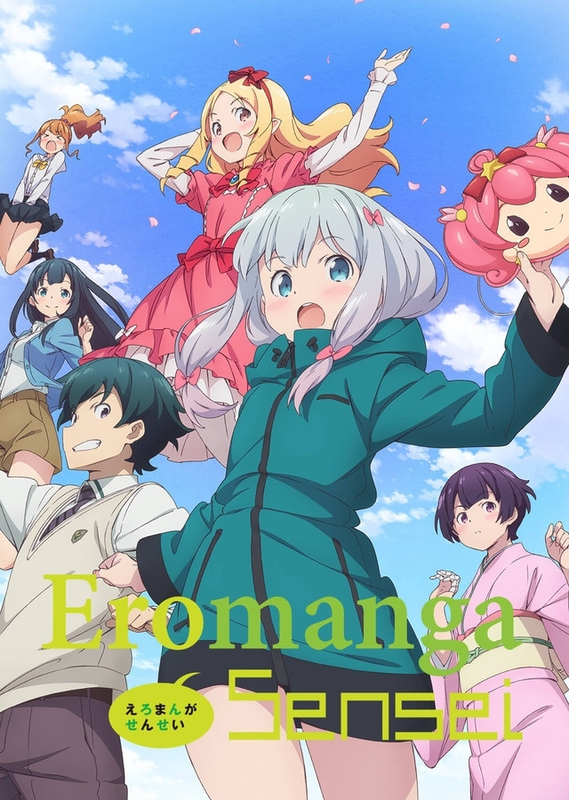 His kid sister, who goes by the nom de plume of "Eromanga Sensei," is the illustrator. Masamune is brainstorming a new series when the reigning teenage queen of the light novel moves in next door. Realism is hardly the intent. Still, it makes several pertinent points about the mechanics of the trade. We see the cubicles used by editors to conference with their writers (no agents, remember) and observe how contests are run to recruit new talent and test established talent against the competition. The light novel as a cultural trend-setter is a fairly recent phenomenon so we should see more stories like this in the future. Anime has been ascendant for longer and so has been talking about itself for longer. The parody anime that parodies other anime is a thriving genre. Anime about making anime include Animation Runner Kuromi (about the frenetic life of a producer) and Girlish Number (about voice actors). And then there's Shirobako, which sets the bar so high it exists in a category of its own. 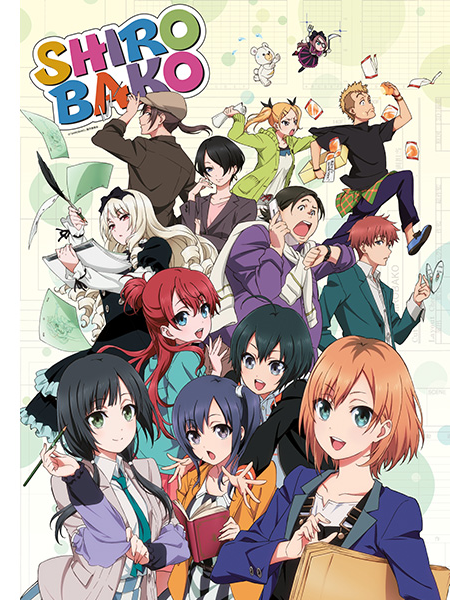 Over two cours, Shirobako closely documents the production of two anime series, while throwing in so many inside jokes about the major players in the business that you'll need a reference manual. Manga reaches even further back. Rather like minor league baseball, an entire industry has built up around the amateur manga artist. Comic Party and Genshiken, for example, focus on the doujinshi market and the goal of selling at Comiket, the largest fan convention in the world. Manga about manga professionals tend to emphasize the chaotic and financially unstable process of running a manga publication, as in Mangirl, or the comically weird juxtaposition of the mangaka's personality and the genre he specializes in. The best illustration of the latter may be Yasuko and Kenji. 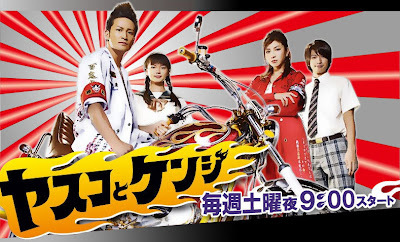 After their parents are killed in an accident, Kenji, the hard-core leader of a biker gang, quits to take care of his kid sister Yasuko. To make ends meet, he and a couple of his associates draw a fluffy girl's romance manga. 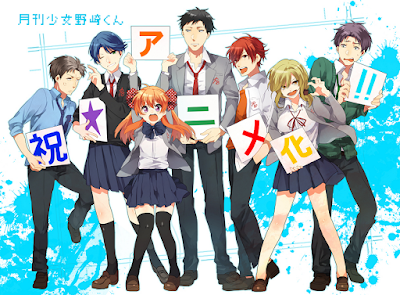 American manga and anime fans are probably more familiar with Monthly Girls' Nozaki-kun. From all outward appearances, Umetaro Nozaki is a straight-laced high school student. 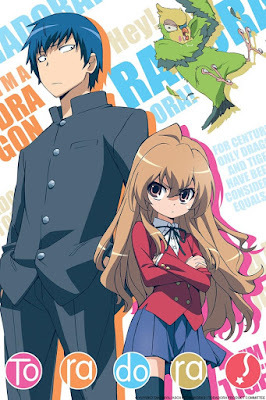 Unbeknownst to all but a select few of his classmates, he writes a romance manga under a girl's pen name. As the story begins, Umetaro Nozaki is already an established mangaka with an popular series. 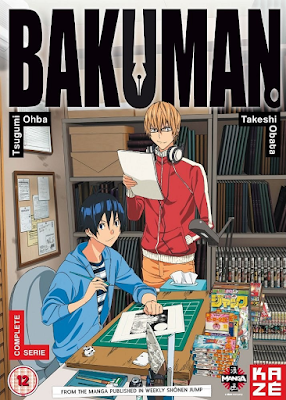 The focus is on the ongoing production of the manga and his developing relationship with Chiyo, who approached him at school hoping for a date but ended up getting drafted as one of his assistants. Highly recommended. 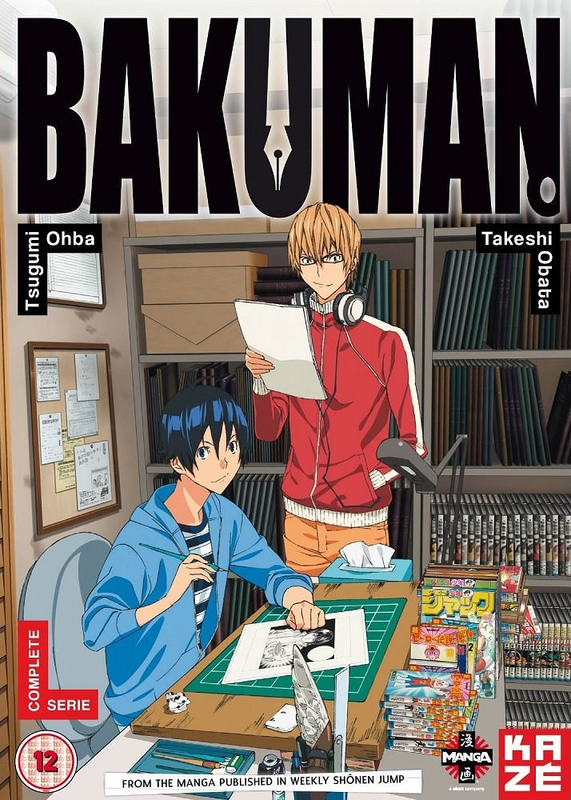 But if you want to learn about the manga writing and publishing business from the ground up, from start to finish, the one series that rises to the level of Shirobako in its attention to detail is Bakuman. More about this groundbreaking series next week. It there was a single piece of technology that marked where things started to go wrong between IBM and Microsoft, the final straw that convinced Bill Gates, "It's not you, it's—no, it is you," it was DOS 4.0. 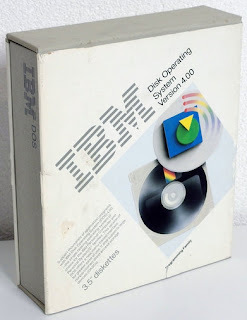 DOS 4.0 was released by IBM in 1988. Microsoft walked away from the relationship two years later. DOS 4.0 was at first greeted with great acclaim. Paul Somerson stated in the 27 September 1988 PC Magazine, "DOS 4.0 answers just about every major complaint about prior versions." But the glow faded fast. DOS 4.0 was soon causing more problems than it solved. Can't IBM do anything right? [DOS 4] is their baby, and it has so many bugs that we're told that we can expect to see 4.1 sooner than expected. I'd wait for 4.3 the way they are going. In the 17 January 1989 issue, Ray Duncan rose to the defense of the OS, arguing that it was a victim of inflated expectations. 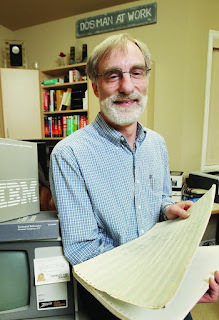 When IBM's DOS 4 first appeared, analysts and pundits hailed it as a major evolutionary step. A few weeks later, the same analysts and pundits came to their senses and there was a severe backlash. DOS 4 was subjected to a torrent of abuse for a handful of bugs no worse than those that accompanied the release of DOS 2 or 3. But a little over a year later, Duncan took another opportunity to analyze the role of DOS 4.0 in what he saw now as the systematic undoing of IBM. In his 16 October 1990 Power Programming column, he succinctly summarized the beginning of the IBM's declining influence in the personal computer arena. DOS 4 will probably merit a footnote in the history books as one of personal computing's major operating-system fiascos. The changes that appeared in PC-DOS 4 were entirely implemented by IBM, leaving Microsoft in the uncomfortable position of having to reverse-engineer the system in order to come up with a "generic" MS-DOS 4 that could be licensed to other OEMs. Users stayed away from DOS 4 in droves. As I am writing this, DOS 3.3 is still outselling DOS 4 by a significant margin. By 1990, Microsoft had awakened from its preoccupation with OS/2, realized that DOS was still a cash cow, wrested control of DOS's development back from Boca Raton, and deployed famous software guru Gordon Letwin to recoup the damage done to DOS's reputation by DOS 4. Forget DOS. Forget OS/2. Forget LAN Manager. Forget NetWare. Forget Unix. But don't forget Windows. That's what Microsoft will ask you to do in the coming months and years. The pieces puzzled over by the prognosticators for years now fell into place. The next OS/2 from Microsoft will bear little resemblance to the versions we've seen to date. OS/2 3.0 will feature a "New Technology" (NT) kernel, full Windows support, portability, distributed processing, and POSIX support. 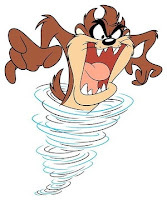 The development team is headed by Dave Cutler, the guy formerly responsible for VMS at DEC.
OS/2 optimist William Zachmann heard the same message—"Forget about OS/2 2.0 and stick with Windows"—and fretted that "this Windows-centric outlook has led many to assert—incorrectly—that OS/2 is dead." Well, those "many" were asserting correctly. As far as the PC consumer was concerned, OS/2 was dead. The death certificate was delivered a year later (though the undead OS/2 would wander the Earth for another decade). A month later, John Dvorak observed in his 11 June 1991 Inside Track column that the feud between IBM and Microsoft "over the direction of the industry, over Microsoft's emphasis of Windows, and over DOS 4"
finally erupted in a Forbes article where the two companies clearly stated that they were in disagreement about direction. 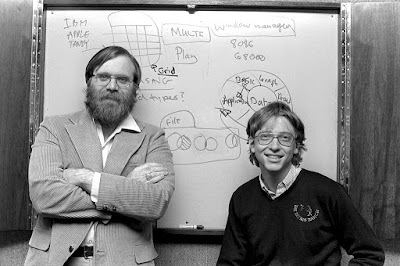 Gates said that he and Microsoft were largely responsible for the success of the IBM PC and today's hot computer market. He made it clear that IBM's contribution to the leadership was a mirage. In his 15 October 1991 column, Dvorak pointed to the "infamous Bill Gates memo" first leaked by the San Jose Mercury News. "The memo criticizes IBM for providing Microsoft with lousy code and intimates that Microsoft is better off without IBM." IBM had hamstrung the DOS operating system long before DOS 4. In an truly ironic juxtaposition, the same 28 April 1992 issue that previewed Windows 3.1 in a cover story (and mentioned OS/2 2.0 in a much smaller font) also ran a letter from one Tim Paterson of Redmond, Washington. Titled "IBM was the problem, not MS-DOS," Paterson objected to the "common misconception" that the designers of MS-DOS had "divided the first megabyte of memory into 640K RAM for the operating system and application and 384K reserved for hardware," creating the long-derided "barrier" that restricted memory access in MS-DOS to 640K RAM. And who was this Tim Paterson to make such a claim? As the sole designer of MS-DOS, Version 1.0, I did no such thing. The first computer that ran DOS could have a full megabyte of memory of DOS and applications. The system ROM occupied only the last 2K of the address space, but even that could be switched out after boot-up. When Microsoft purchased DOS from Seattle Computer Products, Tim Paterson came along as part of the deal. Those of us who lived with the 64K address space of the 8080/Z80 had learned our lesson. IBM, unfortunately, did not. They alone decided to build memory-mapped hardware right into the middle of our precious address space. I am mystified why anyone would consider this poor hardware design to be an aspect of DOS. DOS uses as much contiguous memory as can be made available. Windows today is probably four years behind, three years behind where it would have been had we not danced with IBM for so long. Because the amount of split energy, split works, split IQ in the company cost our end customer real innovation in our product line. Microsoft's successor to DOS 4.0 was a case in point. First reviewed in the July 1991 issue, PC Magazine would give DOS 5.0 a Product of the Year award. Between 1990 and 1995, Windows 3.0 was followed by DOS 5.0, Windows 3.1, DOS 6.0, Windows for Workgroups 3.11, Windows NT, and Windows 95. Microsoft was on a roll. IBM became an afterthought as a supplier of PC operating systems. Though IBM did engineer some of the best laptops ever, before selling its entire PC division to Lenovo. One proxy for Moore's Law these days is how small a package an HD video decoder can fit into. 4K media streaming devices from Amazon, Google, and Roku are not much bigger than an older USB flash drive. Boggles the mind. The Roku Express (maxes out at a mere 1080p) isn't quite that small, about half the size of a proverbial pack of playing cards. But I am equally wowed by the power supply it comes with. It's one of those now ubiquitous 5V/2A wall units commonly used as cell phone chargers. The DC output must be electrically isolated, else iPhone and Android users would be electrocuting themselves right and left. This normally requires a bulky transformer. Instead, the 120 VAC is rectified and an oscillator chip kicks the current frequency from 60 Hz to 100 KHz. At those frequencies, the flyback transformer can be smaller than a dime. With a high-voltage MOSFET driving the primary coil, the result is a switching power supply that draws almost no power on standby (the Roku doesn't have a physical switch or even a shut-down sequence) and is the size of my thumb. 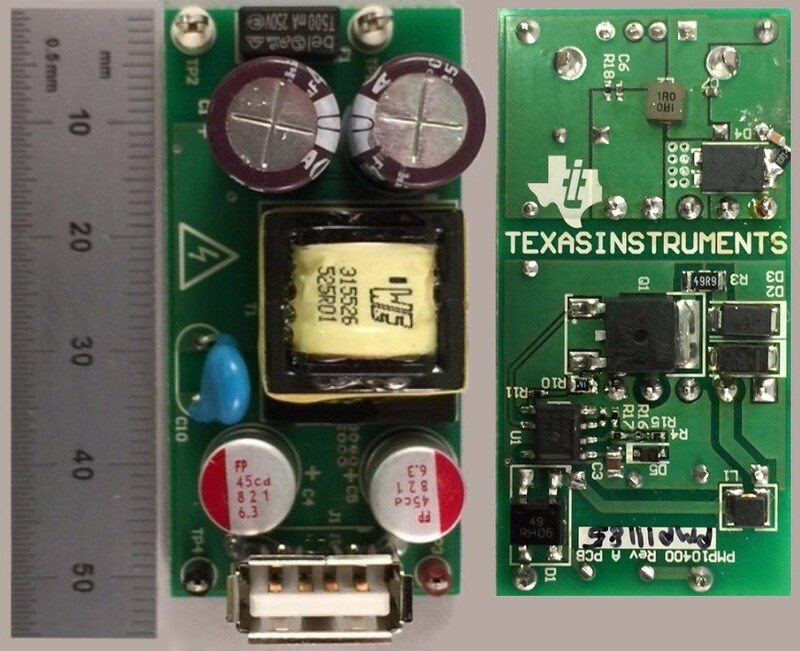 The image above is the reference design for a switching 5V/2A power supply with variable 85-265 VAC input from Texas Instruments. The circuit diagram is posted on the TI website.